Paris: Parc des Princes (not) for sale? Today’s Le Parisien published revelations of planned sale of Parc des Princes. This prompted outrage and quick denial by the mayor’s office. So nothing is on the table? Early today Le Parisien released an article suggesting that mayor Anne Hidalgo has held a series of secret meetings with Nasser Al-Khelaifi, investor of Paris Saint-Germain. 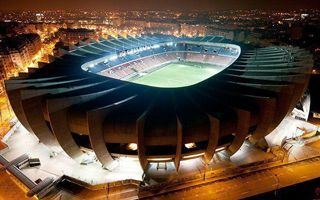 The Qatari businessman was supposedly offered to buy Parc des Princes for under € 100 million ($112m). This would allow PSG to maximize revenue in the future and be independent in decision-taking about the stadium’s future. The revelations immediately caused outrage among politicians, particularly on the left. Accusations of Paris selling off its icon and asset for short-term gain arose just to be calmed later by mayor Hidalgo’s reaction. The mayor denied any such proposal or even negotiations were true. She reminded that PSG have a valid lease of the stadium until 2044. The contract obliges them to pay €1 million annually in rent, while also requiring the club’s Qatari investors to cover the €75 million upgrade ahead of Euro 2016 (entirely revamped corporate hospitality infrastructure). After the UEFA tournament PSG will be able to expand the stadium from 48,000 to some 60,000. Le Parisien did not refute the revelations. Instead the publisher stressed that there was no report of negotiations over the stadium, but meetings regarding the club’s future. It’s clear that owning the stadium would be beneficial for PSG, who enjoy annual revenue of €63.1 million in revenue. However, as Le Monde later noted, no major club in France actually own their stadium. First one to change it will be Olympique Lyonnais, once their new Stade des Lumieres will be ready.